Because her parents had suffered through the Great Depression and because she had no doubt heard stories of people who lost their jobs in economic downturns, Donna Jean Allen wanted to enter a secure profession after high school. 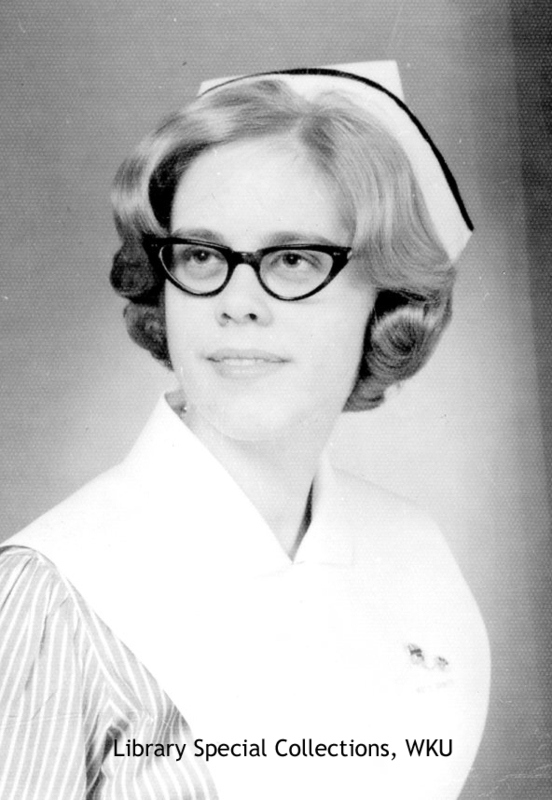 When she considered her options in the summer of 1963—almost a full year before graduation—she was confident that with proper nursing training she would be employable in a necessary, thus secure, profession. Allen, who at that time lived in Annandale, Virginia, began a correspondence with the School of Nursing at Louisville General Hospital (LGH). School officials sent her promotional material and explained the benefits of LGH’s program. At that time many large hospitals operated nursing programs, and most vocational nurses trained at medical facilities rather than at colleges or universities. The highly respected program at LGH had operated since 1886 and had trained over 1,100 nurses by 1963. In May she was informed that her application for admission had been approved, and she started her course of study in September 1964. The program was not all work, as plenty of social activities were available in the city; planned and impromptu trips were also part of Allen’s LGH experience. Besides following the rigors of medical training, Allen also matured socially as administrators frequently mentioned when writing to her mother, Mildred. Although the majority of Donna’s twenty-eight member class consisted of white females, like herself, it did include one African American and two males. One of the interesting requirements for continued progress in the program required that students remain single for the first two years of the program, then they could request permission to marry but it must be done in writing and at least one month before the marriage date and must be “endorsed by the parents.” Donna completed the program in June of 1967, and enjoyed a steady career in nursing. Eventually she married, becoming Donna Hill, and was the mother to two boys. Photograph of Allen’s graduating class. 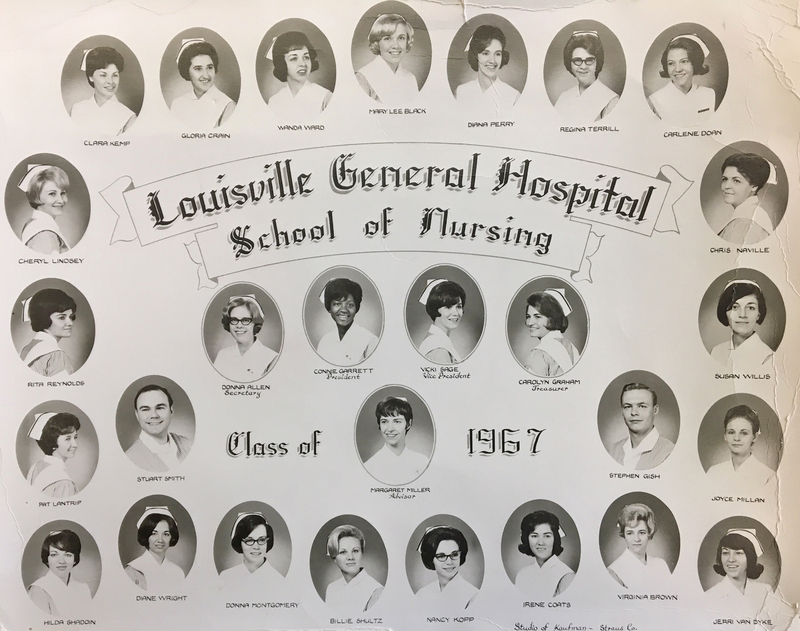 Recently Donna Hill donated her nursing uniform from the LGH program to the Kentucky Museum and papers related to her school program to Library Special Collections, which is always pleased to add collections related to the medical and allied health fields in Kentucky. This material helps document the importance of the medical field to the Commonwealth’s history, and it supports outstanding academic programs at WKU. To see the finding aid for this collection click here. Other medical and health related collections can be found by searching our finding aids on TopSCHOLAR or KenCat.